Imagine you are sitting in a room with your family and friends, unable to see their faces properly. That is the reality for over 817,000 Canadians who currently live with some form of vision loss, much of which could be prevented or treated. Age-related macular degeneration (AMD) is responsible for more vision loss in Canada than any other condition, surpassing glaucoma, diabetic retinopathy or even cataracts. So, why have we not heard more about it? There are two forms of AMD, dry (non-neovascular) and wet (neovascular). The term “neovascular” refers to a growth of abnormal blood vessels in the retina, more specifically in an area called the macula. Of the two forms of the disease, dry AMD is more common. It is caused by the accumulation of yellow deposits, known as drusen, in and around the macula. These deposits arise as part of a metabolic process within the retina. Dry AMD can gradually progress to a different eye disease known as geographic atrophy (GA), which is another severe form of vision loss, resulting in the degeneration of the retinal cells. This gradual loss of retinal cells leads to central vision loss and an inability to see faces. While no treatment for dry AMD currently exists, the latest research has shown that specific high-dose formulations of vitamins C and E, with lutein, zinc and copper, help to reduce the risk of its development and slow its progression. Dry AMD can also progress to a more serious form of eye disease known as wet AMD. In wet AMD, a devastating and rapidly progressive eye disease, neovascular growth takes place beneath the retina, resulting in the leakage of blood and fluid. These secretions permanently damage the retinal cells, creating scarring or blind spots in one’s central vision. Once the retina is scarred, vision cannot be recovered so it is crucial to detect AMD in its initial stages. Wet AMD, though less common than the dry form, is responsible for roughly 90 per cent of cases of people with severe vision loss caused by macular degeneration. If detected early, there are several treatment options available for those with wet AMD; these aim to eliminate the fluid from the leaking blood vessels and cause the abnormal vessels to regress. These treatments are known as anti-angiogenic therapies. Age-related macular degeneration, though widespread, affects certain groups of people more than others. In addition to its age-related component, usually affecting people over the age of 50, evidence now suggests that smoking increases the risk of AMD by four times. AMD has also been found to affect women slightly more than men. While Caucasians are more likely to suffer vision loss from AMD than African-Americans, Asians are affected at twice the rate of Caucasians. 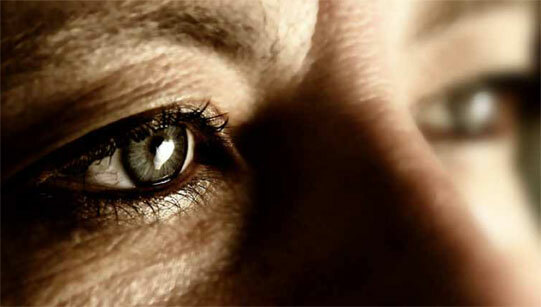 Other common risk factors include obesity, high blood pressure (hypertension) and lighter eye colour. Research also indicates a strong genetic link to the disease. In 2008, genetic testing became available for the detection of AMD inCanada. The complement C3 gene has proven to be a good indicator for the genetic diagnosis of AMD. The presence of age-related macular degeneration has also been strongly linked to a deficiency of the gene variant known as complement factor H (CFH). In addition to genetic testing, anti-angiogenic drugs are another treatment option for individuals suffering from wet AMD. These drugs (Lucentis, Macugen and Avastin, among others) target a protein known as vascular endothelial growth factor (VEGF), which is known to activate angiogenesis. In recent years, a great deal of progress has been made in the treatment of macular degeneration but the key to avoiding its progression is, most importantly, early detection and eliminating lifestyle factors, such as smoking. Once AMD has advanced, complete recovery of one’s vision is unlikely so preventative measures are crucial. At home, patients can monitor their vision using the Amsler Grid, which has served in the early detection of wet AMD since 1945. It remains essential, however, that they regularly visit their eyecare provider to detect potentially blinding conditions such as AMD.